Kane were delighted to attend the opening of the Mansfield State High School Multipurpose Hall in late October. Attendees included Corrine McMillan MP representing Minister Grace Grace MP, staff of Mansfield State High School, the Year 8 cohort and our Kane representatives. 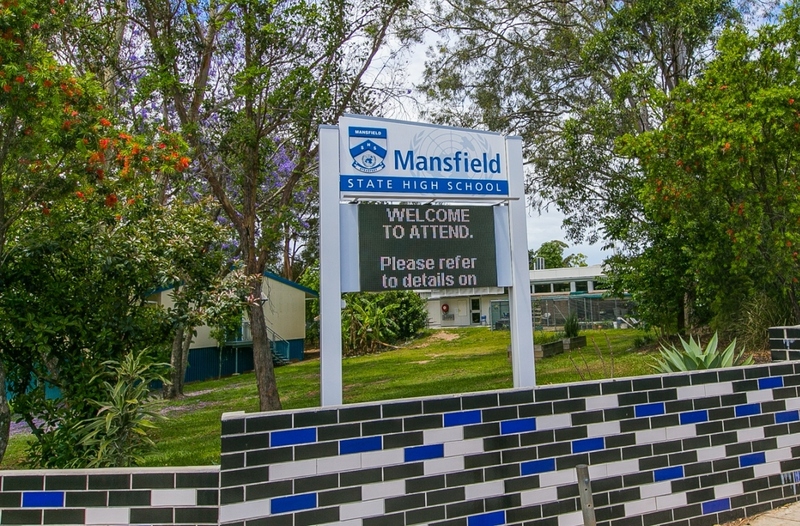 The facility was delivered as part of the Advancing Queensland Schools (AQS) program to enhance curriculum delivery and educational outcomes. Delivered under a Design and Construct contract, the project comprised the construction of two sports courts, amenities, learning areas, kiosk kitchen and storage spaces. The vast space was delivered column-free and utilised an innovative “joint free” slab on the ground sports floor. Following the successful delivery of the Multipurpose Hall, Kane were awarded the New Classroom & Science Building project, which is due for completion in Term 1, 2019.